When you work with Tritex you get reliable pick-up, cleaning and delivery each and every time. You have plenty of things to focus on in your establishment – increasing revenue, maintaining client relationships, adding on new products and services, training your staff, and the list goes on and on! We haven’t even touched on keeping your business clean yet. A clean space is incredibly important for both your employees and your customers. It sets the tone for the entire client experience with your business. Therefore, you cannot take your mops lightly. But it’s more than just getting a good scrub at the floor with a quality mop. Maintaining a clean establishment means maintaining your cleaning equipment. You want to make sure that it’s long-lasting and can get the job done. Let’s get real though – you’re too busy to worry about something as small as a mop! That’s why you should partner with a company that provides quality mop rentals. 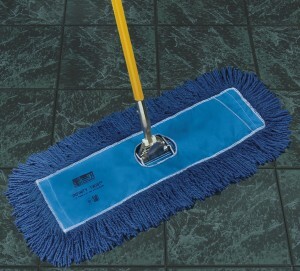 With Tritex’s commercial mop rental program, your mops are sanitized and replaced each week. With minimal effort on your part! That means clean mops are always available when you need them and your floors get reputably clean. Tritex mops are available in many different sizes and in any quantity necessary to meet your specific business needs. 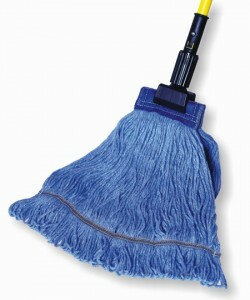 – Clean mops are used more often and collect more soil. – Lower, consistent maintenance costs. – Mops are delivered and picked up regularly. • Patented Infinity Twist yarn won’t fray or unravel and will maximize cleaning efficiency. 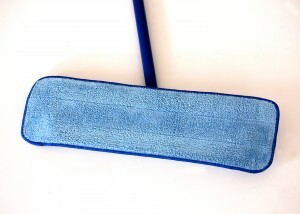 • Manufactured with a high concentration of antimicrobial fibers for resistance to bacteria. • Standard Sizes: 24 oz. and 28 oz. • Superior cleaning and surface contact. • Velcro-backed for quick exchange. • Additional layer of microfiber for fluid retention. Tritex has a commercial mop rental service that’s perfect for your business. Save time and money and increase business with a spotlessly clean establishment! Feel free to fill out our online form to receive a free quote or contact us today at 888-761-3238.